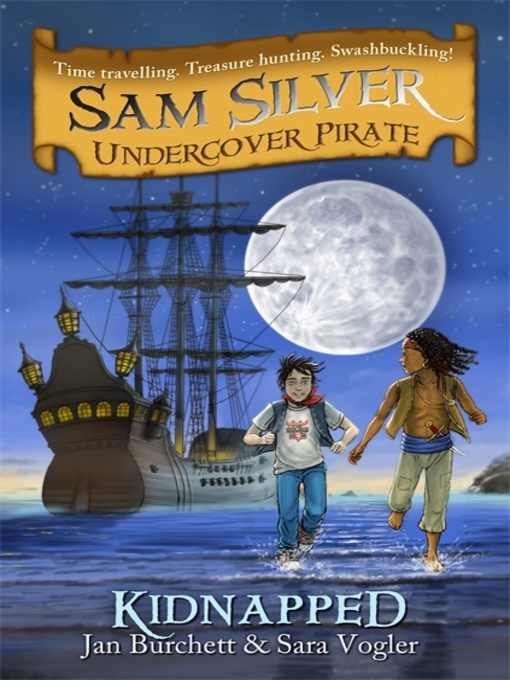 Sam Silver might look like an ordinary boy, but he has an exciting secret – one of his distant ancestors was a pirate. 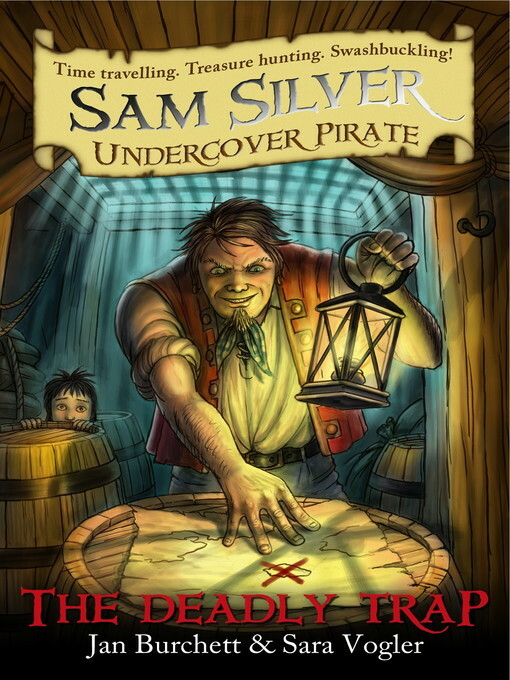 Now, whenever he rubs the magic gold coin the ancestor left behind, Sam is magically transported back to 1706 aboard the pirate ship Sea Wolf. (The biggest hitch is that Sam can’t control when he gets sent back to his own time.) On board ship, he’s part of the regular crew, and his two best friends cover for his frequent absences – Charlie, a girl disguised as a boy to escape her wicked stepfather, and Fernando, a boy of Afro-Caribbean heritage (I think) – but clearly not white, and beautifully illustrated on the cover of book 3. Once there, it’s an exciting, non-stop adventure until Sam gets pulled back to his own time. This is the third book of the series, but I thought the authors did a good job of catching readers up with the backstory without needing to read the first two books. I received these books from the publisher in exchange for honest reviews. In Kidnapped, the Sea Wolf is attacked by another ship. When the smoke clears, they realize that Charlie is missing! Together, they realize that it must have been Charlie’s conniving stepfather, who needs Charlie so he can take over her fortune. The captain is willing enough to set sail to rescue her, but once they get to the right island, he’s a little too cautious for Sam and Fernando. They set off on their own in the middle of the night to rescue the third member of their trio! In Book 4, The Deadly Trap, Sam discovers that there is a traitor on board the Sea Wolf. He’s able to figure out who the culprit is – but the rest of the crew thinks that Sam is making a false accusation to cover up his own guilt. Can Sam prove his innocence before it’s too late??? It’s difficult to find chapter books that work for my boy, who reads at grade level but listens much, much higher. (I’ve noticed myself that many early chapter books have a plot that could be told much more succinctly.) This usually boils down to him being too bored to finish books at his reading level, while his reading pace is too slow to make it through the longer, older middle grade books that he’s actually interested in reading. Even if we find a prose book at his level that he likes enough to finish, he’s never been interested enough to go on to a sequel. So when he finished Kidnapped and went straight on to The Deadly Trap, I was ready to jump up and down, and promptly told our youth fiction librarian that she needed to buy the whole series. (She’s a very good egg about this.) They are already going out quite briskly here. I can’t give this one a diversity tag, as Sam, white and male, is the only point-of-view character. But as so many books of this type start with an all-white cast, with all of the sympathetic characters matching whichever gender the series is marketed to, I will definitely give this series kudos for including diversity of both ethnicity and gender in the supporting cast. This is a strong early chapter book series for pirate-lovers. The books are a little longer than most early chapter books, but still with plenty of illustrations. It’s a solid choice for third graders, with lots of appeal for older and younger kids around that age as well. My son and I liked them enough that we decided to give away both of the books – see my Kidlit Giveaway Hop post for details. Enter the giveaway now through May 18! This entry was posted in Books and tagged Early Chapter Books, pirates, time travel, youth fantasy. Bookmark the permalink. Hey! Kidlit Giveaway Hop is now your biggest hit!